The 23rd of January is an important day for midwives as an exciting new programme is being launched to build positive perceptions of midwifery. We will be joined by more than 120 people in Birmingham to gather ideas, discuss and review the midwifery profession, working together to shape and develop the future "Transforming Perceptions of Midwifery" programme from its inception. Participating in a Facebook Live conversation with Sheena Byrom of The Practicing Midwife during the afternoon. All resources will be available on the Transforming Perceptions of Midwifery page afterwards where you can sign up to join in with the programme too. 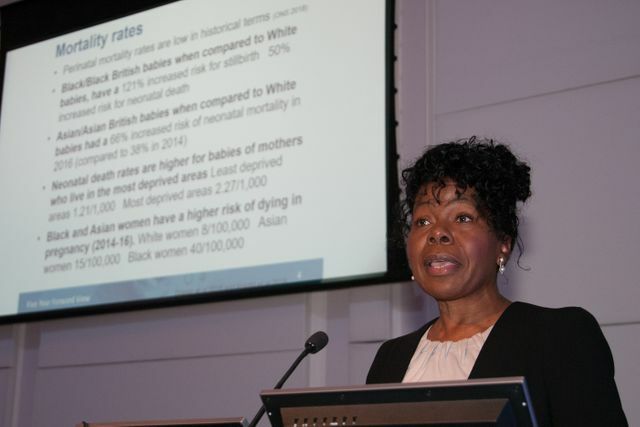 The day will be led by Professor Jacqueline Dunkley Bent, NHS England and we will have some insight from Jess Read, Regional Maternity Lead for NHS England, London; Birte Harlev-Lam, Royal College of Midwives and Yvonne Bronski from the Royal College of Nursing Midwifery Forum as well midwifery ambassadors. This is going to be such a fab event where we can truly start positively transforming the perceptions of the midwifery profession!